Varicoceles are when the pampiniform plexus veins in the scrotum become enlarged. These veins are like varicose veins in the leg. Varicoceles form during puberty, and can grow larger and easier to notice over time. Varicoceles are more common on the left side of the scrotum. This is because the male anatomy isn’t the same on both sides. Varicoceles can exist on both sides at the same time, but this is rare. About 10 to 15 boys out of 100 have a varicocele. To heal varicocele naturally without surgery one has to take care of two things. First is your lifestyle – so that the varicocele does not increase further. Second is to get rid of the free radicals that cause the valves to function improperly. Cooling is a method of reducing the body’s temperature.Testicular overheating is a major cause of concern for men with varicoceles, and can also cause infertility.It is shown to reduce inflammation markers.Of note for varicocele,cooling can improve vein contractility and reduce the swelling of the veins. The food that you include in your diet are a major cause of concern for varicocele treatment.A diet high in antioxidants can help protect the testicular veins from the damaging effects of oxidizing chemicals. Many natural remedies can also be effective.The results of these home remedies do vary, but they are very much worth trying. 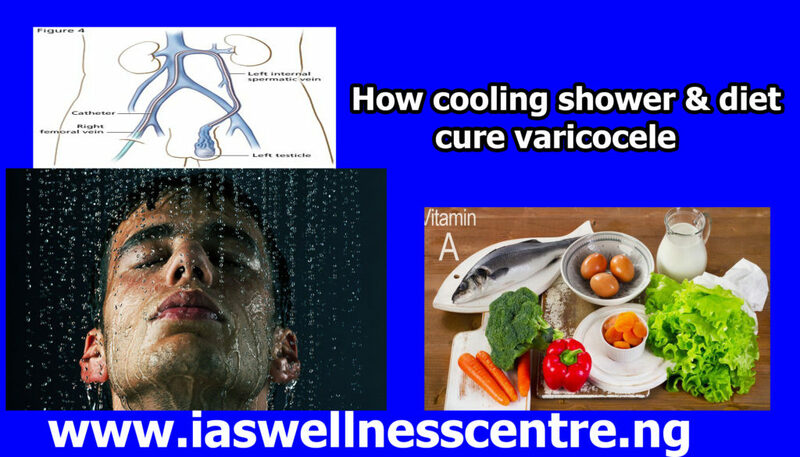 Is diet & cooling shower enough to cure your varicocele? No, diet & cooling shower can only do so much in your attempt to manage your varicocele. Are you suffering from varicocele?